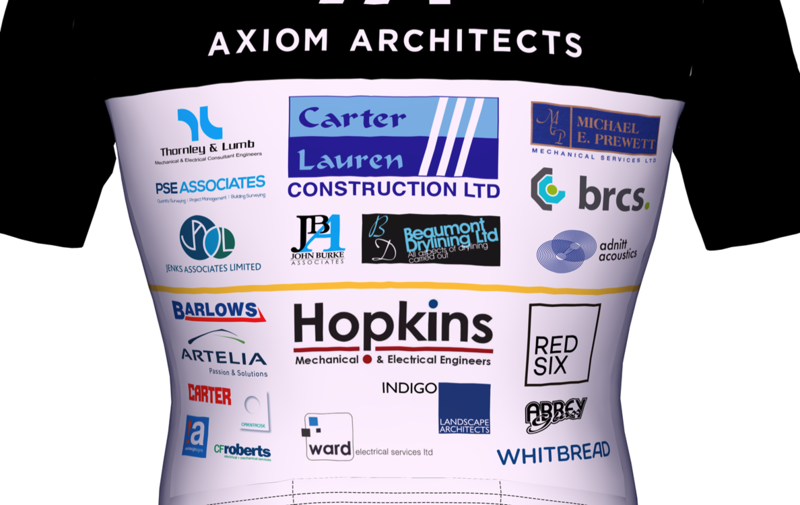 We have worked with Dan Bolt from Axiom Architects on a number of projects and when he approached us to ask whether we would be interested in sponsoring him we were happy to help. He has been selected for the epic Legal and General charity ride to MIPIM in March 2019 which starts in London and finishes in Cannes covering a total of 1,500km. Dan is raising money for Club Peloton, a fundraising charity which uses cycling as its platform for challenge events, bringing together a love for the sport and the opportunity to raise money for great causes. We wish Dan the very best of luck with his endeavour and we will be following his progress with interest and looking out for our company logo on his cycling jersey. If you would also like to show your support for Dan then you can donate via this link to his fundraising page.